This is it. The moment we've all been waiting for. 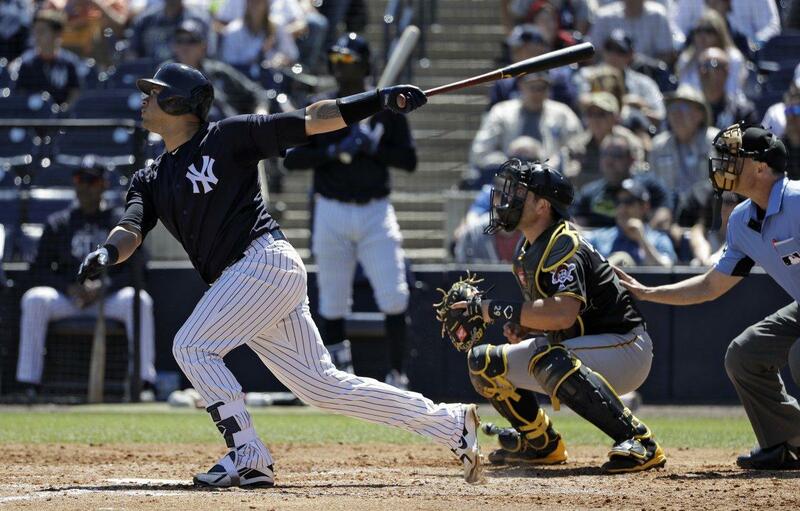 After a long, cold Winter, New York Yankees baseball has returned. Following a season that saw them come just a single game from reaching the World Series, expectations are sky high for the 2018 Yankees. This season, the Yankees will begin their quest for a 28th World Championship North of the border in Toronto as they take on the rival Blue Jays. With new faces both on the diamond as well as in the dugout, this season will be unlike any we've seen in recent years. I cannot wait for it to get started. Luis Severino will make his first ever Opening Day start as he has now solidified his role as ace of the New York Yankees pitching staff. Severino will look to back up a very strong 2017 campaign – one in which if finished third in AL Cy Young voting – in 2018 as the unquestioned number one in New York. So far this Spring, Severino has gone 1-0 with a steady 3.38 ERA across three starts and 13.1 innings pitched. He has also struck out 17 and walked just three. In his career, Severino has curiously never beaten the Blue Jays, currently holding a record of 0-3 with a 5.52 ERA & 1.452 WHIP. Severino will be opposed by Toronto left-hander J.A. Happ, a crafty left hander who has never pitched to much velocity but has always done well against the Yankees. Happ is 8-2 in his career against New York with a 3.51 ERA and 1.223 WHIP across 16 starts dating back to 2009. Happ started six games for Toronto this Spring, going 1-1 with a 3.05 over 20.2 innings. Happ has shown a propensity to pitch to soft contact, but also will issue his fair share of walks. New York's aim on Opening Day will be to hold back the excitement enough to work counts and not swing freely the first few innings. After struggling throughout most of 2017 (while mixing in a few gems), Tanaka was a completely different pitcher in the 2017 Postseason and he'll look to carry over those types of performances into the 2018 Season. Tanaka struggled in his first three starts this Spring, going 0-2 with a bloated 11.25 ERA, lasting just a total of eight innings, but he bounced back in a big way Friday afternoon against Boston. In that start, his final of the Spring, Tanaka went five and two-thirds innings allowing just a single earned run and five hits while striking out six. Tanaka will need to maintain control of his pitches and keep throwing down in the zone, something he was unable to do at times this Spring. Last season, Tanaka went 3-1 against Toronto with a 4.20 ERA and for his career is 9-4, 2.95. Aaron Sanchez comes off a disappointing 2017 campaign in which he made just eight starts. This, on the heels of two incredibly strong years in 2015 (spent mainly as Toronto's set-up man) and 2016 (in which he went 15-2, won the AL ERA title at 3.00 and finished seventh in Cy Young voting). Sanchez struggled with blisters and other injuries last season that limited him to just the eight starts, but Toronto has high hopes for the 25-year-old right hander. Sanchez owns a career 2-2, 2.40 ERA, 1.133 WHIP line against New York. This Spring, he has appeared in five games (four starts) and pitched to a 2-2 record with a 3.06 ERA over 17.2 innings. CC Sabathia was the last Yankees pitcher to start a game in 2017, taking the loss in Game 7 of the American League Championship Series to Houston, after which he became a free agent. The Yankees were able to retain Sabathia on a one-year, $10 million contract. CC was reborn in 2017, building off an encouraging end to the 2016 season. Following in the footsteps of former Yankees great Andy Pettitte, Sabathia learned to pitch to location, surviving and succeeding without the help of the velocity he once had. In 2017, Sabathia went 2-2 against Toronto, but was roughed up to the tune of a 6.23 ERA, his highest against any opponent he faced more than once. For Toronto, they'll turn to Marco Estrada in game three as he looks to improve upon a 2017 season in which he took a big step backwards. After making the All Start team and leading the AL in H/9 in 2016, Estrada was blasted in 2017, barely keeping his ERA under five and allowing 31 home runs. Estrada's biggest challenge in the New York lineup is, of course, Gary Sanchez who has just four hits in 16 at bats, but all four hits have been home runs. Despite being roughed up in a June 1 start in which he allowed seven runs in just 3.2 innings, Estrada finished the season with three wins and a 4.60 ERA against New York. 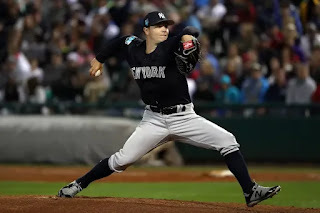 Acquired at the trade deadline last season, Sonny Gray became a valuable, if unspectular, rotation piece for the Yankees down the stretch in 2017. With lingering injuries no longer a factor heading into this season, Gray will try to recapture his 2015 form, a season in which he finished third in AL Cy Young voting while with Oakland. Gray saw his HR/9 rate spike with the Yankees last season (1.5 compared to a career 0.8 rate) and keeping the ball in the yard will be critial against the homer-happy Toronto Blue Jays. Gray faced the Blue Jays three times last season, going 1-2, but with a miniscule 1.50 ERA while racking up 19 strikeouts in 18.0 innings pitched. Shoulder inflammation will keep Jays' ace Marcus Stroman off the mound on Opening Day, but he is expected to be ready by the season's fourth game, per Toronto Manager John Gibbons. Stroman put together a career year in 2017, going 13-9 with a 3.09 ERA while finishing eighth in Cy Young voting. This, after he anchored Team USA's rotation in the 2017 World Baseball Classic. Stroman has made just one appearance this Spring but owns a career 6-4 record against New York with a 3.19 ERA and 1.173 WHIP while striking out just 52 batters over 73.1 innings. El Kraken has swung the bat well this Spring, sporting a current triple slash line of .286/.348/.619 to go along with four HRs, ten RBIs and 26 total bases. Sanchez missed a month of last season and yet still managed to hit 33 homers and drive in 90. Other than the aforementioned Marco Estrada, Gary doesn't have great numbers off of Toronto's starters, but never before has he had the protection he'll enter 2018 with, having NL MVP Giancarlo Stanton and AL MVP Runner-Up Aaron Judge hitting directly in front of him in all likelihood. Look for Sanchez to produce in a big way to start the season. Dellin enters 2018 with no clear defined role. After being banished to mop up duty in the 2017 Playoffs, Betances will have to produce in order to gain the trust of pitching coach Larry Rothschild and new manager Aaron Boone. If Dellin can come out guns blazing and command the plate like he almost always does in the early months of the season, he'll quickly shoot up the depth chart, likely back into the set-up man role. If, however, he continues to struggle with mechanics and command, the first few weeks of the season will be rocky ones for the 6'8" righty. Keep in mind, Betances led Major League Baseball in Soft Contact last season by a pretty considerable margin. Drury and Walker (the former, moreso than the latter) have received some heat by some of us at the BBB this Spring since their acquisitions provided direct roadblocks to future stars Miguel Andújar and Gleyber Torres. Torres might have been a bit further off from being ready, but Andújar's bat looked big-league ready and all the talk on his defensive shortcomings were silenced as he didn't commit a single error all Spring at the hot corner. Enter Drury and Walker who were the veteran presences Brian Cashman sought to round out the infield at second and third base alongside Didi Gregorius (SS) and Greg Bird (1B). Drury and Walker hope to make strong initial impressions in their first few games as Yankees. Doing so would put to rest all of the cries (my own, included) for the kids, at least for the time being. 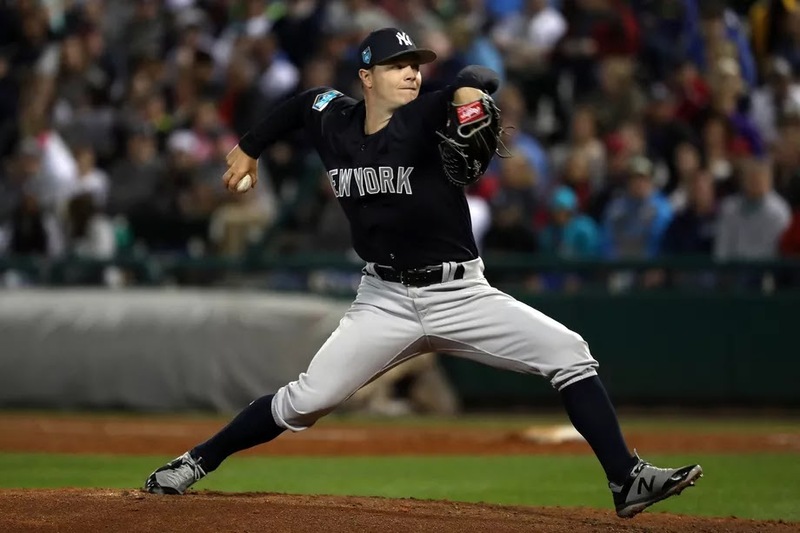 While Tyler Wade should make the start at second on Opening Day, look for Boone to find creative ways to work in Walker - potentially even at first base in the wake of Greg Bird's injury. 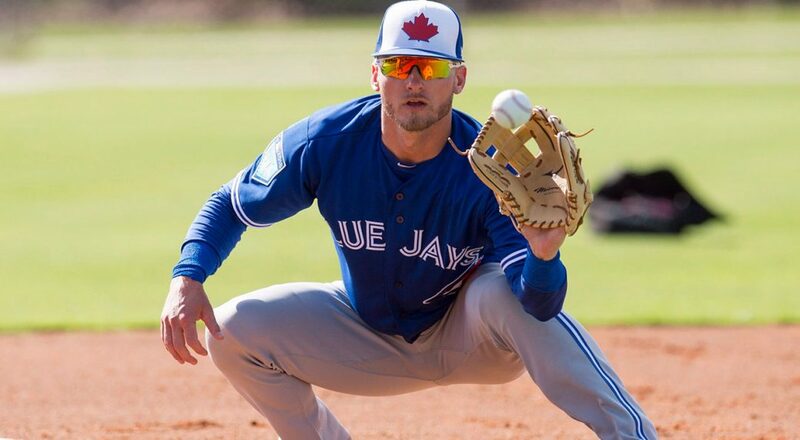 Donaldson's 2018 season might be his last in Toronto as he is set to become a free agent next Winter as part of perhaps the deepest free agent class the MLB has ever seen. The 2015 American League MVP missed some time last year to injuries, but still put up a strong campaign nonetheless, hitting at a .270/.385/.559 clip with 33 HRs and 78 RBIs in just 113 games. Donaldson's lines against the four New York starters he'll see in this series aren't all that impressive, but he always has a way of coming up with the big hit in the biggest spots. Keeping Donaldson quiet is one of New York's biggest keys to beating the Blue Jays. Grichuk will get his first taste of this rivalry as the presumptive Opening Day Right Fielder for Toronto, replacing Jose Bautista who still remains unsigned. Acquired in a trade from the St. Louis Cardinals in January, Grichuk is famously known as the man taken one spot ahead of Mike Trout in the 2009 draft, although both picks were made by the L.A. Angels of Anaheim. Grichuk has had a strong Spring thus far and hopes to bounce back from a disappointing 2017 season in which he hit only .238/.285/473 but did hit 22 HRs in just 122 games. New in Toronto this year are former Yankees Curtis Granderson, Yangervis Solarte & Tyler Clippard. Solarte was acquired from the Padres in a trade and both Clippard and Granderson joined the Blue Jays on one-year, free agent contracts. Granderson will make $5 million this year, while Clippard will earn the Major League minimum if he makes the roster on his minor league deal. Solarte was displaced at third after the Padres re-acquired Chase Headley from the Yankees. He hit 18 HRs and drove in 64 runs in 128 games last season. Granderson, of course, fell one game short of earning his first career World Series title with the Dodgers last year after being traded from the Mets. And Clippard? Well it's with great pain I restate the fact that Tyler Clippard won a World Series with the Houston Astros after he was DFA'd by the White Sox (following being traded from New York to Chicago as part of the Robertson-Kahnle-Frazier deal). It is not yet clear if either Solarte or Granderson will start in this series as Solarte is blocked at third by Donaldson and second by Devon Travis, while Granderson will have to compete for time in the Toronto outfield with Kevin Pillar, Steve Pearce, Grichuk, and Teoscar Hernandez. Clippard might not make Toronto's 25-man roster at all. It's crazy to believe, but the Yankees haven't won on Opening Day since 2011. That day, Joba Chamberlain (!!!) earned the win in relief. Since then, each and every season - at least on the first day - has started with a thud. 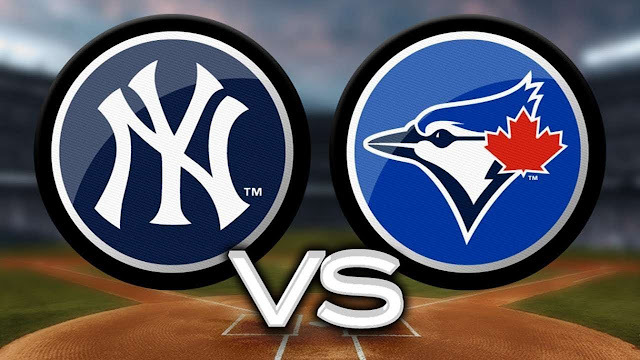 The Yankees will look to reverse the trend in Toronto on Thursday afternoon. Last year, the Yankees started the season without Didi Gregorius and shortly thereafter lost Gary Sanchez, yet they survived and even thrived in April. 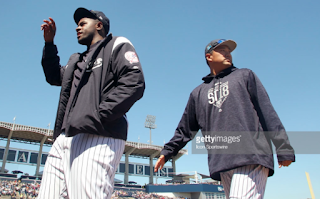 This season with the squad at full strength (Bird injury pending) and a healthy balance of younger players and experienced veterans, the Yankees should come out guns blazing. Last year I referred to the Yankees as 'the up-and-coming team of 2017'. Well up and come they did. Now it's time to hone in on the ultimate prize. And that's #28. This team no longer needs to take the league by storm and prove they belong. This year is about staking their claim as the team to beat for the foreseeable future. It all starts Thursday, March 29th.